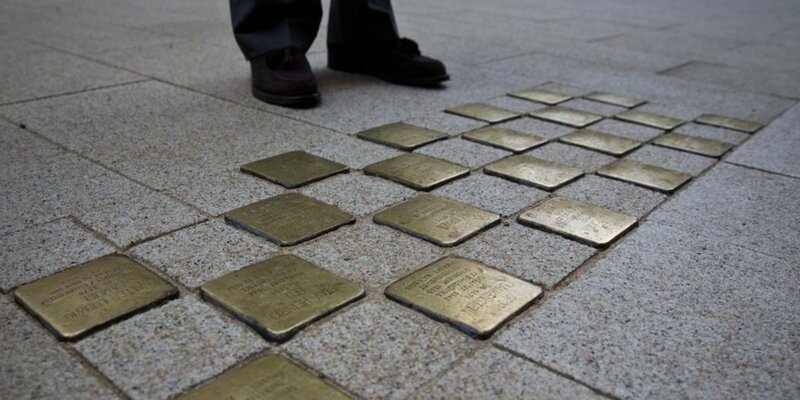 "Stolperstein" or "Tripping Stones": Are They an Art Project? 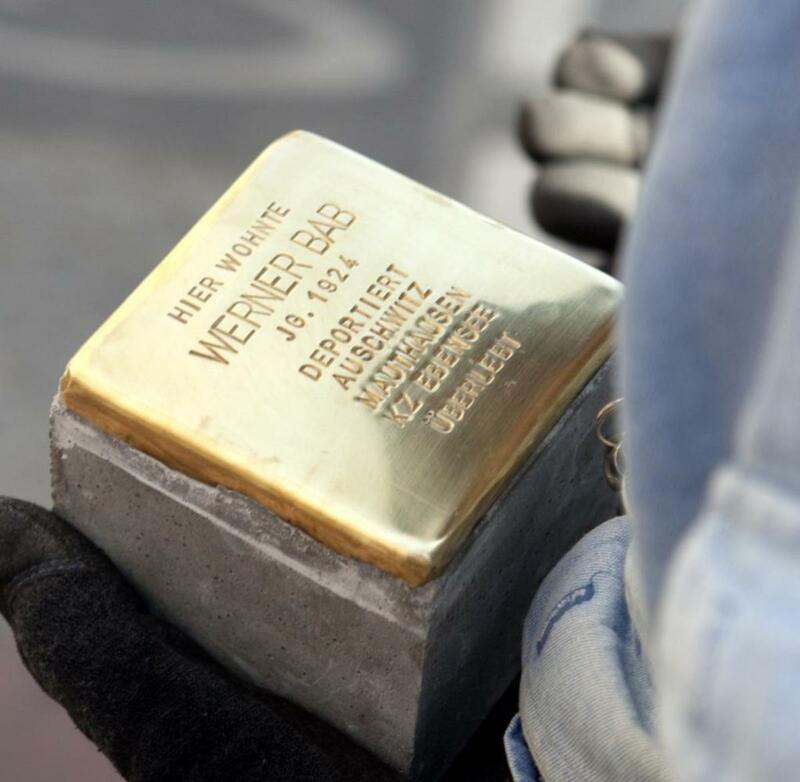 Have you ever heard the German word Stolperstein (a tripping stone?) Usually a Stolperstein's meaning is a stone or any other obstacle lying in your way that forces you to stop. This is exactly what the Tripping Stones I'm writing about here shall do—stop you for a moment, make you think, and remember and honour a certain person. Sound weird? Don't worry, it isn't. 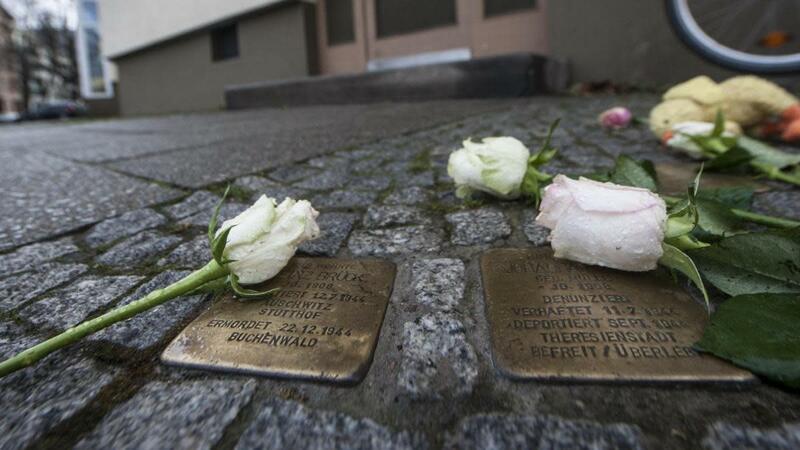 These Stolpersteine are the idea of a German artist, Gunter Demnig. He began this project in 1992, and today the Tripping Stones are known and seen all over Europe. Gunter Demnig said a man is forgotten when her/his name is forgotten, and that was the inspiration for the Tripping Stones. He declared his idea as an art project to make clear that it is a non-profit initiative. The idea of these tripping stones is to create a personal and more private memory for the victims of the national socialism. A tripping stone is built of shiny brass with the name and of one person, her/his year of birth and date of death and what happened to him, whether they were deported, committed suicide or killed in any other way. The brass is built on a stone in a certain procedure that keeps both parts together so the brass part can't be taken off or be stolen. The stones then will be embedded into the sidewalk in front of the house where this person used to live before s/he was deported (see photo). So, when you now walk along any street you automatically stop by when you notice the shiny stone. You read the personal inscription and - depending on what kind of person you are - begin to think. I personally, always stop, read the names and data and send a silent salute to the person. When possible I buy some flowers and put them beside the stones - and I'm not the only one as you can see on the pictures. It is so less what you can do to show your respect, but I like this project because it integrated these names and somehow even the persons back to our every day life. I mean they lived at these places and were citizens like we are. The stones with their names bring them back somehow and the unknown millions of victims get back their names. It is more personal and private because it is among us and not on any cemetery or a mass grave in a former concentration camp memorial. How Does Gunter Demnig Get All the Names? 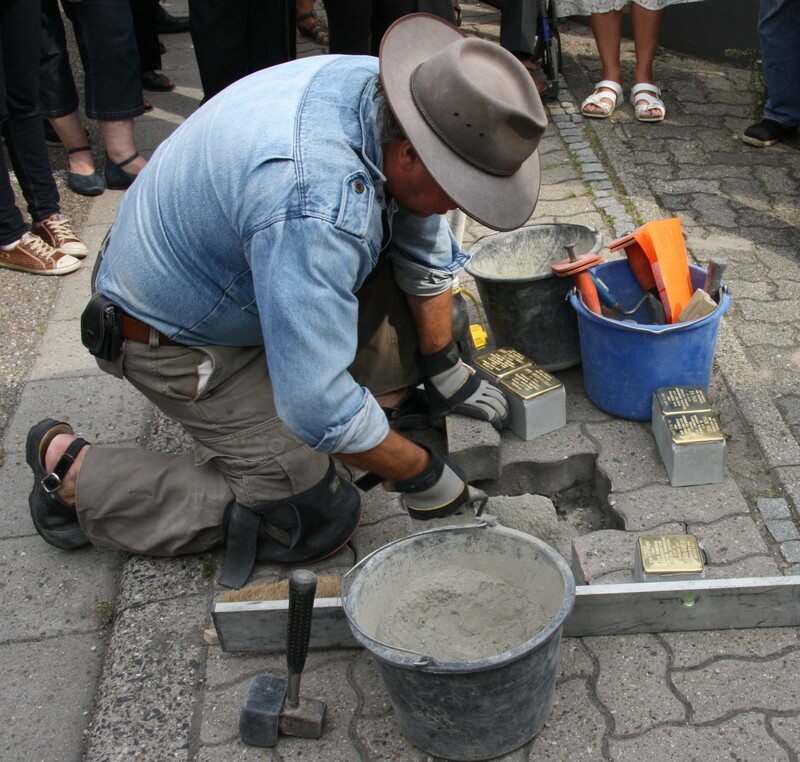 Mr. Demnig does not have any official list and doesn't produce the Stolpersteine in a mass production. No, he first took some well-known names and asked the respective cities for the permission to place the Tripping Stones. Then, he produced the stones and put them into the sidewalks in front of the houses where the people used to live. By this he got the media's and people's attention and the project became well-known and is very accepted - with a few exceptions as you can read below. So, relatives of Holocaust victims from all over Europe contacted him and asked for Tripping Stones for their loved ones. So, the project began in Germany and soon became very popular. Accordingly, the project became so big that he couldn't handle it all alone anymore. Today he has a team and a full calendar with appointments. Has your family lost loved ones in the Holocaust and would you like to place such a Stolperstein for them? You can contact Gunter Demnig via his website and order a tripping stone, if you know the address where your loved ones used to live before they were deported. 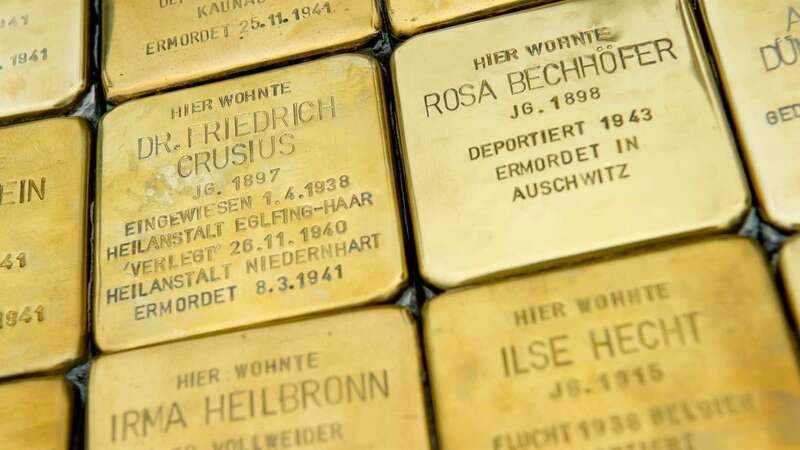 A Stolperstein will not be placed at concentration camp memorials, but in the mid of life, in the cities, towns, villages where the victims used to live. This is the message of the Stolpersteine: Each of the millions of victims had a name, a life. Each one was one of us and lived where you live today. It is as the Germans say "gegen das Vergessen" which literally means "against forgetting". The financial aspect is a problem. Today the project only exists and lives on by donations. Not only does Gunter Demnig have to finance the material and production costs but also his travel and hotel costs. Then, don't forget that he is doing this since 1992, the year when he turned 45. Today, in 2017 he will be 70 in October. A good reason to write about his project which certainly changed his life completely and became his mission, a real life's work - and somehow a good one. Should you travel to Europe and want to know where to find tripping stones you can use any of these Apps that list the stones wherever you are with names and the places where they were implemented. A Good Project or Disrespectful? Of course this project can also be seen in a different light, because some people think the names in the sideway are disrespectful, because everyone walks over them. By this the victims would be trampled on again. So, the city of Munich decided not to allow these Tripping Stones, but would place steles or brasses at the front of the houses. I don't know who to contact for this, but suppose the artist knows very well where his stones are allowed and where not and what you could do instead. Also, I recently read that a house owner in Berlin protested because two of seven Tripping Stones in front of his apartment house were placed 40 centimetres too far and are now on his property. Oh My Gosh! His reasons seemed to be antisemitic if I read correct between the lines. The article said he was an architect, over 80 years old, living in that apartment house. 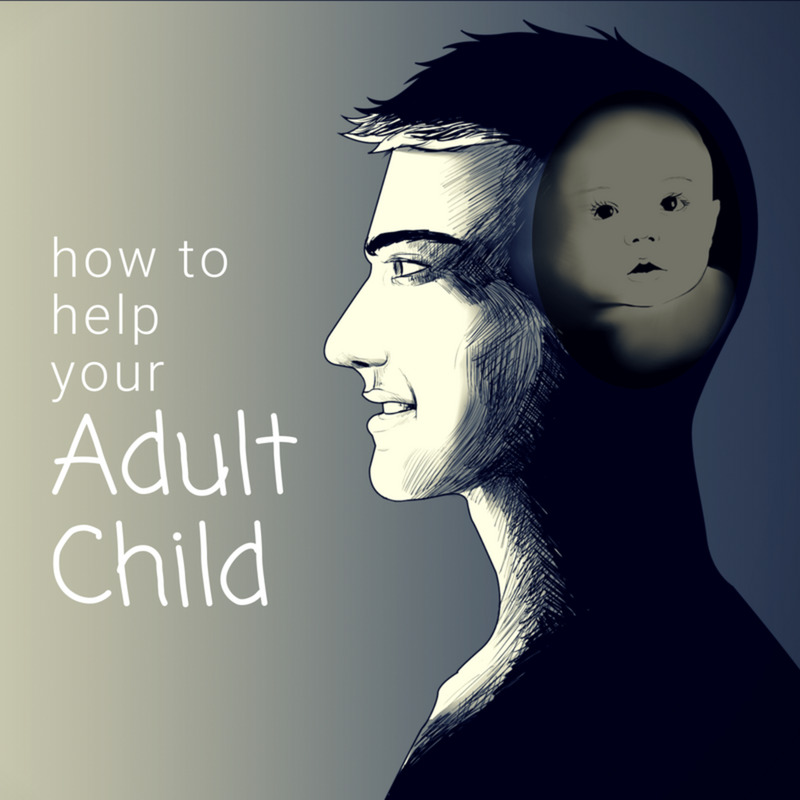 Well, the fight against forgetting is hard. But from my point of view it is still very necessary. If not for Germany then for the rest of the world. If you followed up what's going on in Turkey right now (and already since quite a while) you can get very scared. Strange reasons for a mass arresting are more than a warning sign. Guys, please really feel free to comment on this. 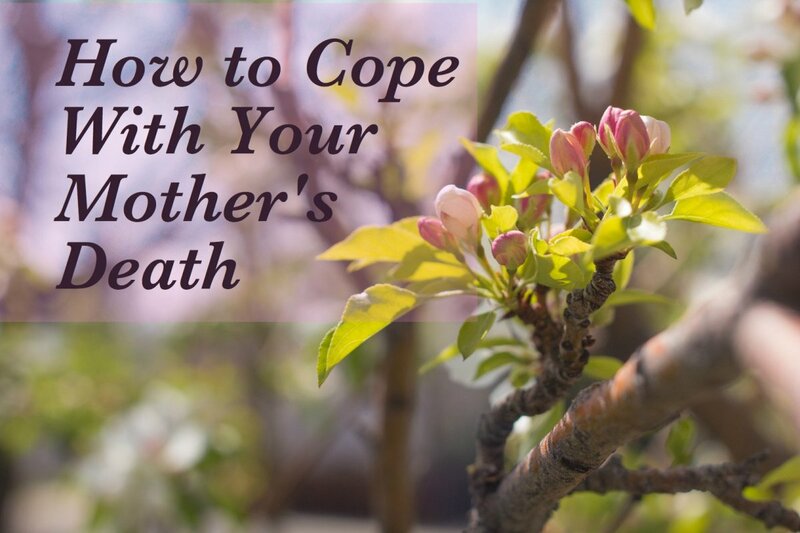 The topic is worthy of a discussion. No matter what you think, I would like to hear/read it and am open for every point of view. 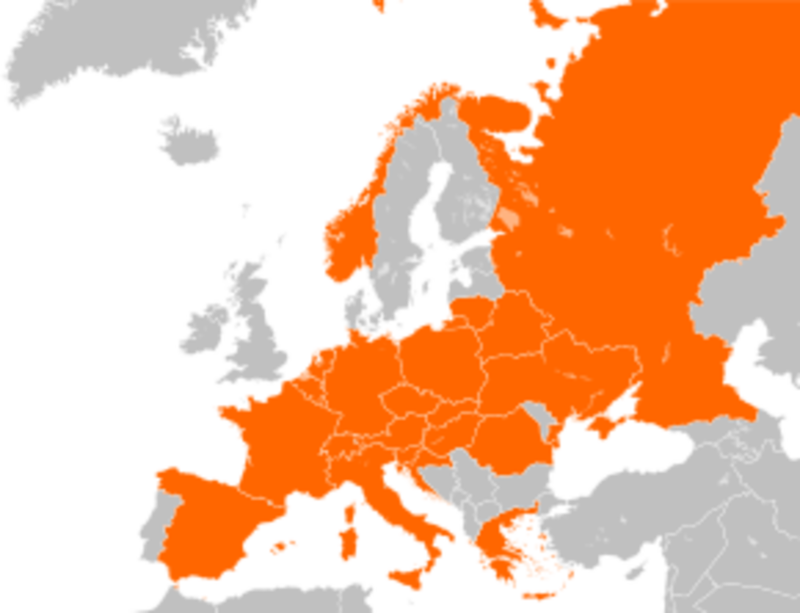 A little about me: My own paternal grandparents and their two children had to flee from Wroclaw (today Poland, former the German city Breslau, Schlesien) to the West and to hide. One day in the fall of 1941, the Nazis stood in their apartment and told my grandmother she had one hour before they would get relocated. 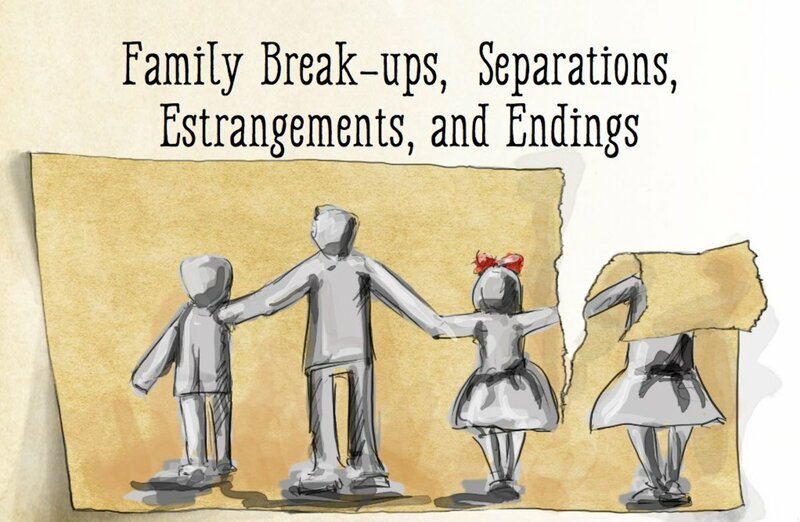 For some reason she knew what this meant, took her children, left everything back, and left the house. I don't know how she made it, but it sounded as if she had a plan for the worst case. She then had to search for my grandfather who wasn't allowed to work anymore but moonlighted in any day jobs—whatever he could get. They found a hideout in a rear house in Erfurt, Thüringen. When the war was over Thüringen belonged to the US occupation zone, but was bartered for West-Berlin. Thüringen then belonged to the Russian occupation zone and my family had to flee again. They survived, but I don't know anything about my great grandparents, my grandparents' siblings or any family history at all. They didn't and couldn't talk about that time.